HR professionals are being asked to share their insight into the current state of HR for a chance to win an Apple Watch. 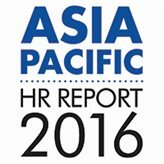 HRM Online’s 2nd annual APAC HR Report survey closes next week, asking HR professionals across the region to provide feedback on the major challenges, issues and priorities in the HR space in 2016. The purpose of the survey is gain insight into the trends and developments shaping the HR profession as well as identify any shared challenges between geographies. Just for taking part, every respondent has the chance to win an Apple Watch. Last year over 3,000 people took part in the report. The 2016 survey closes NEXT FRIDAY 24 June. The results will be published across the HRM portfolio in New Zealand, Australia and Singapore, both in print and online.